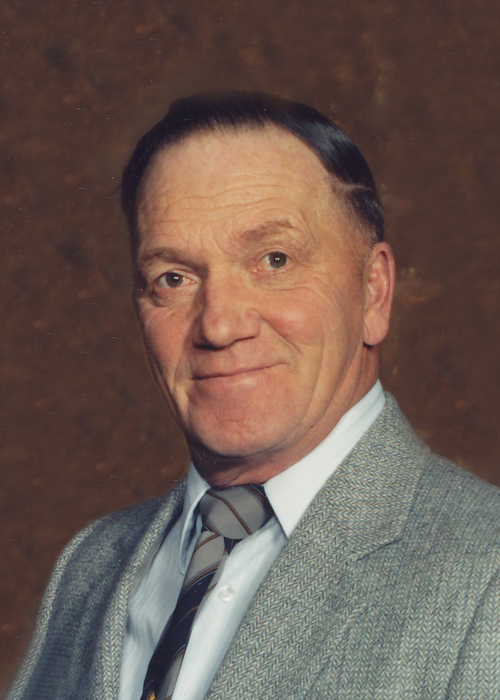 After a short illness, on Wednesday, April 10, 2019 at Portage la Prairie, William “Bill” Demman Jr. passed away at the age of 85 years. Predeceased by his beloved wife Lorraine; parents William and Nellie Demman; brother Wayne Demman and sister Shirley Martin. Left to mourn are his son Murray (Brenda) Demman of Quesnel, BC; daughter Melinda Boyd of Waterloo, Iowa; grandchildren Kim and Darren, Caitlin and Christine; great-grandchildren Amanda, Brandon, Richard, Guage, and Layne; sister Ruby Unger; numerous nieces, nephews and friends. Bill was born at Portage la Prairie in 1933; he married Lorraine Ross in 1956. For many years, Bill was employed as a butcher, and ran his own shop in Portage. After retiring, he built and sold lawn furniture and took up taxidermy. He enjoyed trips to West Coast to fish with his son, Murray, and was an avid hunter and golfer until a massive stroke, suffered in 2003, slowed him down. Bill was stubbornly independent, and his sense of humor never diminished; he loved a good joke, and enjoyed seeing his coffee friends every day at Tim Horton’s. His favorite subject was hockey; he had season tickets to the Terrier games for decades. His joy at the simple act of going to the games, and his smile when he ran into an old friend, will be greatly missed. As expressions of sympathy, if friends so wish, donations may be made in Bill’s memory to Heart & Stroke Foundation of Manitoba, 1379 Kenaston Boulevard Winnipeg, MB R3P 2T5.